Sugar Fix: EHChocolatier Boston Icon Box | Pop.Bop.Shop. I have been a long time fan of Boston chocolate maker EHChocolatier. You may remember that back in the fall of 2012 I participated in their CSC (like a CSA, but for chocolate instead of produce). This month EHChocolatier debuted a brand new sweet treat, the Boston Icon Box. This box brings together two of my favorite things - the city of Boston and chocolate. 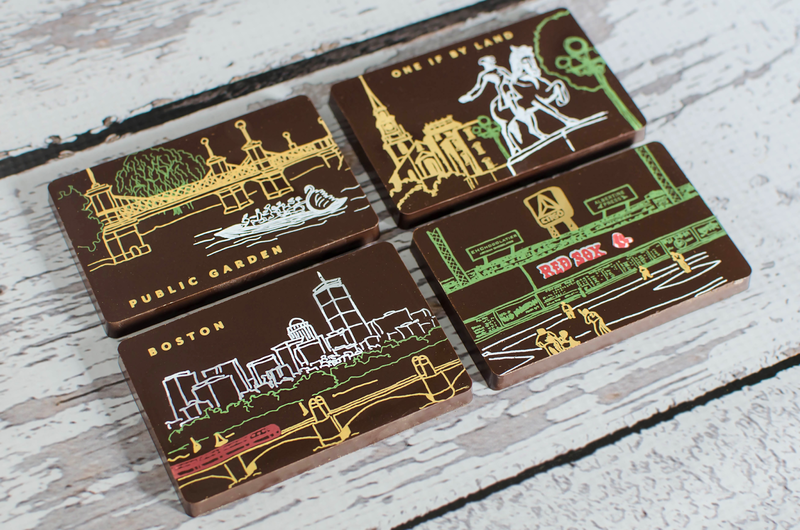 The box, which includes four pieces of 67% dark chocolate, depicts signature Beantown views and landmarks like the Swan Boats and Fenway Park. I had the chance to talk with EHChocolatier's Elaine Hsieh about this beautiful (and delicious) homage to our city. PBS: The Boston Icon Box is gorgeous. How did the idea for this tribute come about? EH: The designs were something Catharine and I had been talking about for at least half a year before we went to talk to our neighbor, Shelley Barandes at Albertine Press. We've been friends with the Albertine Press folks since we moved into our space five years ago. We work across the hall from each other and have bartered with them doing paper cutting and letterpress labels and design in return for chocolate. PBS: What was the process like collaborating on this creation? EH: As with all these things, it was a much longer process than we had expected. We initially wanted designs to top our bonbons, but came to realize that there wasn't enough room for detailed sketching and the image had a more "cartoonish" or comic strip feel to it. So then we had to research what vehicle we would be working with and finally came to the current mold that we're using, which we source from Europe. PBS: What makes this mold special? EH: It's what's called a "magnetic mold" and has a bottom that is removable and secures to the rest of the mold with magnets. The transfer sheet, which has the designs printed on them with colored cocoa butter, is placed on that bottom, aligned to the mold so that they will appear properly and then the bottom is "snapped" into place. The molds are filled with tempered chocolate, gently tapped to release as much of the bubbles as we can without shifting the images, and then scraped of excess chocolate and put into a cooling cabinet. Eventually the chocolate tiles are unmolded and hopefully look good. We do usually lose a few titles to aesthetic blunder, which is a bit of a bummer, but that's just part of the process. PBS: There is so much to love about Boston. How did you decide what to feature on the chocolates? EH: Catharine and I had very specific ideas on what we love about Boston and we wanted the tiles to be stylistically complimentary and cohesive. Unfortunately, not all of our ideas translated well into a design that would be consistent with the others, so we had to lose a couple of the key ones. PBS: Did you have a color scheme in mind? EH: We had to design with common colors in mind due to how it would translate into the production of the transfers that we would have custom made for us. 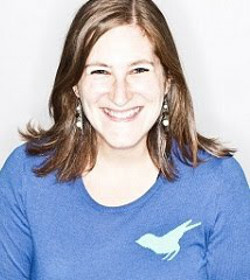 As with any collaboration, it was a great deal of back and forth with Shelley, who I will say is very good at dealing with our particular-ness. PBS: These chocolates are so stunning, it feels wrong to eat them! The Boston Icon Box is available on EHChocolatier's website and costs $30 dollars. It's a perfect gift for first time visitors or friends and family who have moved away, but miss our dear city. 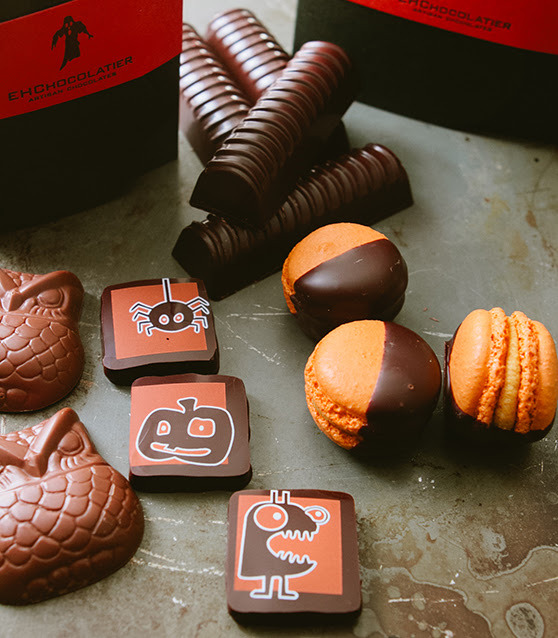 In addition to these masterpieces, EHChocolatier is also selling some of their Halloween favorites like their Spooky Bonbons and their Wise Guy Owls. Order online now to ensure you have your treats in time for Halloween weekend! *Images courtesy of Tamara Flanagan Photography. You may remember that last fall I introduced you to EHChocolatier's CSC (Community Supported Chocolate) program. Much like a CSA, EHChocolatier provides chocolate deliveries the same way a farm provides fruits, vegetables and herbs. You can sign up for the CSC and receive a chocolate share monthly. 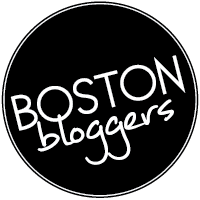 The program runs from October 2013 - March 2014 and your share is delivered on the first Friday of every month to one of six pick up locations across the city and greater Boston. Each share is $20 dollars. I think it's safe to say I am EHChocolatier's biggest fan. The Somerville chocolate makers, Elaine Hsieh and Catharine Sweeney, create the most delicious, decadent confections that are almost too beautiful to eat (almost!). Though I refer to myself as a vegetarian, my father calls me a junk-etarian because my primary food groups are chocolate, ice cream and tomato and mozzarella. What can I say? I like decadence.